In this episode I interview Vanessa Hayes of the Simple Life Together Podcast and of GetSimplifized.com. This was a very powerful episode for me and I hope for you too as we learn as much about mindset for living “our best life” as we learn techniques and strategies for organization and simplification. 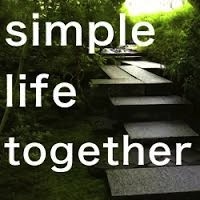 I love the Simple Life Together Podcast and know that you will too. She co-hosts the podcast with her husband Dan and I love how they interact with one another and give each other room to shine on their show. They set a great example of a wonderful marriage and partnership. But even more than that, I come away from each episode with valuable tips and techniques to help me to keep focusing on what is important in my life. In this episode I discuss my big “aha” moment. I was coincidentally, reading The War of Art during the time that I was putting together this episode and realized that my tendencies to over-commit are simply symptoms of resistance towards doing that which means so much to me. If you have not read The War of Art the prior paragraph probably will make no sense to you. So let me say it this way, if there is something that you are wanting to do and haven’t been able to, listen to this episode and read The War of Art (it’s a quick read) and I bet you’ll come to the same realization that I did. 1. Vanessa talked about getting the most interest in her GetSimplized business from YouTube. Interesting don’t you think? We’ll be covering YouTube in depth later (hint hint). 2. Clutter can be physical and emotional. Vanessa talks a lot about editing things and commitments out of our lives. 4. Be deliberate in where you invest your time. 6. When organizing a space (like a closet), don’t just go out and buy containers as a first step. Instead, get a good vision of what you want the space to look and feel like and “edit” first. If you don’t love it, don’t use it, don’t need it, it’s gone. 7. Vanessa talks about networking within her own industry in order to learn from, teach and collaborate with others. Look over to your right you should see this black rectangle pull-out “thingy” that says “Send Voicemail. We now have a way for you to send your audio comments and questions to the podcast so that I can play them in future episodes. I do hope you’ll take advantage of that and I can’t wait to (literally) hear from you soon! You don’t need any special equipment. You can record right from the built-in mic on your computer or your phone or table. I found the coolest FREE resource where you can test your Facebook cover image and profile picture. I didn’t design my cover image on this tool because we have more sophisticated tools in our business. I own Welhaven and Associates a marketing firm and we do graphic design in house. But, I have used this tool to test the look of the images before uploading them “live” to Facebook. Lourdes…what a privilege to be on your show! Thank you so much! I hope your listeners found the information useful. I’m so glad our paths have crossed…you have so much to offer women…and men alike with your tips, motivation, and inspiration! Thanks again! Vanessa! The privilege is all mine! I love YOUR podcast and it was very exciting for me to have YOU on the Networker for Business Women! Thanks for all you do with your show to help so many people!